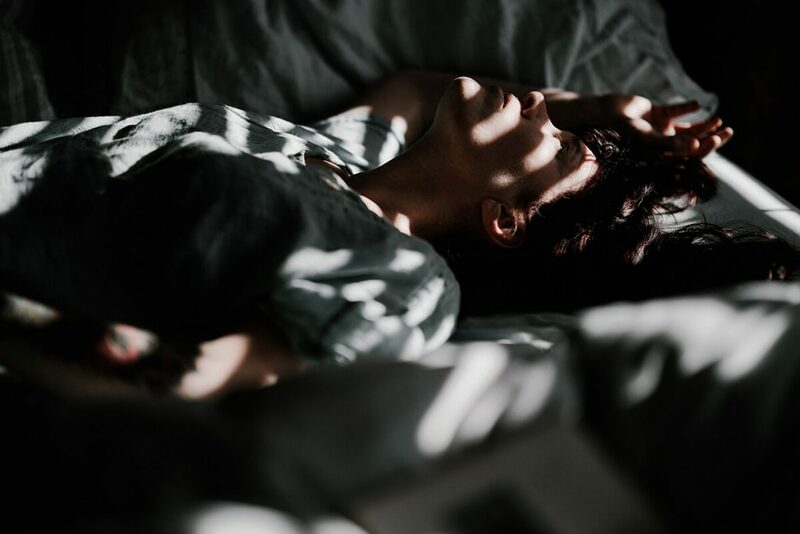 Problems with concentration, sense of unreality, headaches, constant fatigue and a frequent inability to focus on daily routine activities – these may be the consequences of just one sleepless night. It is not hard to imagine then what impact on our functioning may have a chronic insomnia. What is insomnia scientifically and what are the findings in this area? Relaxing and regenerating sleep is considered to be one of the three factors influencing our life quality. The remaining two are a balanced and healthy diet, as well as physical activity. Despite that, sleep deficits increasingly affect people all over the world and often cause serious health issues. Even relatively short periods of sleeping problems may detrimentally influence our body. At the turn of 20th and 21st century the occurrence of insomnia was reported at 24 percent of respondents in Poland. Currently it is believed to affect the lives of even 40 to 50 percent of Poles. Sleep medical science has been known since 1979 when the International Statistical Classification of Sleep was established and until today both the sleep itself and insomnia are subject to specialist studies. What is a proper sleep? Let us first outline a typical daily sleep demand. It seems obvious that small children sleep much longer than teenagers, while older people tend to sleep short. A study by the National Sleep Foundation from 2015 specified the recommended and acceptable sleep duration for 9 age groups. It turned out that teenagers (14-17 years of age) are recommended to sleep between 8 and 10 hours, while 7 to 11 hours are indicated as an acceptable sleep duration for them. For adults between 26 and 64 years of age the recommended duration of sleep is 7-9 hours and the acceptable duration is between 6 and 10 hours. Seniors over 65 years of age should sleep 7-8 hours a day, while the range of minimum and maximum hours of sleep is 5-9. Interestingly, too much sleep can also have very negative consequences. For example, in a study conducted with the participation of 490 patients in 33 Korean hospitals the researchers noticed a relation between long sleep and the risk of intracranial hemorrhage. Another study was done in 2014 in Warsaw where a correlation between the number of hours slept and risky actions among 407 lower and upper secondary schools` pupils was examined. It turned out that longer sleep of lower secondary school students resulted in limiting risky behaviours. Not only the length of sleep but also its quality is particularly important. Good sleep should be uninterrupted, calm and should take place in comfortable conditions, in optimal temperature, humidity and silence. Interestingly enough we are able to measure the quality of sleep with a metric proposed in Pittsburgh Sleep Quality Index used i.a. in the research on insomnia. The index consists of 10 more or less complex questions whose interpretation requires a fairly demanding assessment scheme. What happens in case of chronic insomnia? The effects of a long-term insomnia may be demonstrated in an example of 72 hours sleep deprivation. A person unable to sleep for three days can expect e.g. hallucinations or depersonalisation – an impression of observing oneself from the outside. An interesting phenomenon that also occurs in such circumstances is the so-called hat illusion: a feeling of pressure around the forehead. Another effect of sleep deprivation may be numbness in lower and upper limbs or increased risk of suffering a collapse when undertaking activities requiring increased effort. A so-called microsleep is a serious threat for people exposed to prolonged sleep interruptions (a problem well known among e.g. professional drivers). It is referred to as a loss of consciousness lasting from 1 to 30 seconds (from 1 to 30). There are, however, certain signs indicating that microsleep may happen. After a sleepless night or a long period without sleep it may be e.g. slow blinking, shivering, yawning, difficulties in recalling events from just a few minutes ago or a falling head. It is also worth mentioning that while young people can mitigate the consequences of insomnia by improving and extending sleep, the older ones often suffer from increased health problems attributable to chronic sleep deprivation. Many studies have shown the relationship between sleep quality and cognitive skills of older respondents. It turns out that insomnia raises the risk of dementia. The deterioration of functional capacity which may occur in cases of insufficient sleep may result in vulnerability to fall down which is particularly dangerous among seniors. Not to mention the fact that sleep deficit compromises immunity with may have serious consequences for older people. The problem of insomnia in this age group is of particular importance because, while it 10-20% of the general population, among seniors the rate reaches 40%.